Rushop Hall Holiday Cottages01298 813 323work Self-cateringJan and Neil extend a very warm welcome to Rushop Hall Holiday Cottages. A perfect location with breathtaking views from idyllic cottages situated within the stunning Peak District National Park. Four delightful, stone built cottages offering top quality four star accommodation (sleeping 8, 4, 2 and 2 respectively) in The Edge, Top Tack, The Irishman's and Pepper Pot. Each cottage is full of character, tastefully furnished with beautifully appointed kitchens (not Pepper Pot) and bathrooms. Cosy wood burning stoves (except The Edge) make them a perfect retreat all year round. Set in the extensive grounds of Rushop Hall, this is an excellent location for walking, cycling, riding and exploring. 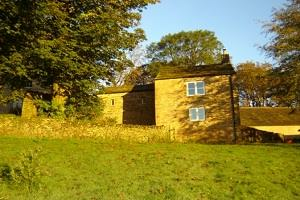 Stables and grazing are also available for those wishing to explore the Peak District on horseback. Feel free to wander up the Pennine Bridleway or visit our beautiful herd of alpacas grazing the meadows outside your cottage. Evening meals are available at Rushop Hall which is just across the cobbles from your cottage. Jan will discuss your menu with you in advance and is very happy to cater for your specific needs. Rushop Hall is fully licensed so you can enjoy a glass of wine with your meal.